If you’re ready to get cooking with cannabis, here is a three-course meal that will make you look like an expert chef! Preparation Directions: 1. Place the rinsed, drained chickpeas in medium bowl. Add the remaining ingredients, then use a food processor or blender, pulsing with each addition, and process until smooth. Add a tablespoon or two of the reserved liquid from the chickpeas if it seems too thick. Drizzle with additional olive oil if desired and sprinkle with a pinch of paprika for color. Serve with vegetables or pita chips for dipping. Preparation Directions: Combine the first 6 ingredients in a large zip lock bag or Tupperware container. Marinate at least 1 hour and preferably up to 24 hours, shaking or turning every so often. Light grill to medium heat. (Or if you do not have a grill, brown on stove top and finish in oven until internal temperature reaches at least 165 degrees. Be sure to oil your pan). Remove thighs from bag or container and discard marinade. Place chicken on oiled grill and grill about 5 to 10 minutes per side until internal temperature reaches at least 165 degrees. When plating, use lemon zest on each thigh. You may want to put black sesame seeds and/or thin green onion pieces on top of the thighs which makes for a nice presentation. Preparation Directions To make the crust, crush/blend 2 cups graham crackers, add 1/2 cup sugar and then combine with 6 Tablespoons Butter (3 Tablespoons regular butter and 3 Tablespoons infused canna-butter). Press the crust into a pie pan with fork or your fingers. For the filling whisk the condensed milk, eggs, yogurt or sour cream) and the key lime juice. Beat until smooth. Fill the pie pan and place in a 350-degree oven for 10 minutes. The filling should be semi-firm to the touch and will spring back. Let the pie cool and if possible let it chill for another two hours. 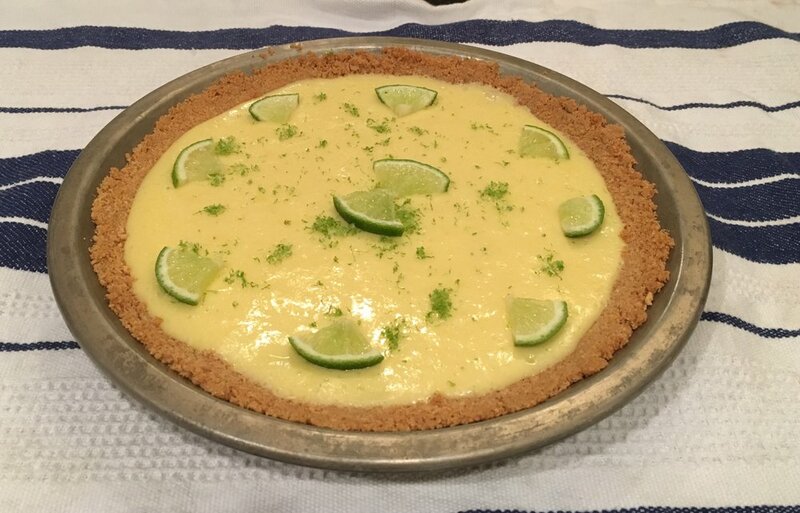 Before serving, sprinkle with lime zest or decorate with thin lime slices. Looking for more infused recipes or want more tips for preparing your own infused food? for the Curious provides lots of helpful information, recipes and tips.